A picturesque country side is portrayed by one of the freshest photographers of our time, the Irish talent Boo George, in his story for Vogue UK January 2014 issue starring the pure Rosie Tapner. 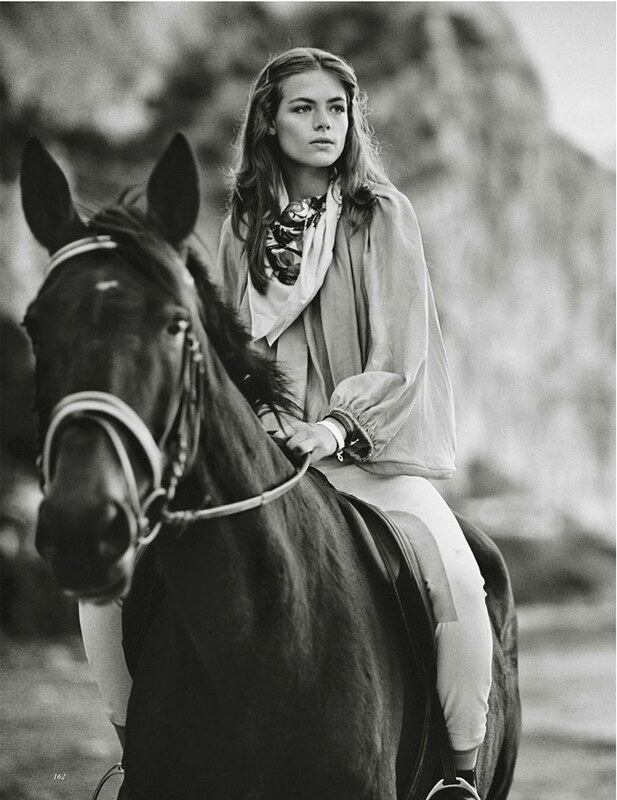 The environment is idyllic, the British Rosie is captured in a high-end country estate presenting a more fashionable updated version of the typical ‘horse girl’ by embracing the classic items and adding a fashion forward twist to the result. A true challenge the thrift loving stylist Bay Garnett gladly took on and delivered a highly successful outcome featuring luxurious brands beautifully modeled by Miss Tapner. Hairstylist Neil Moodie has created an ‘effortless’ touch to Tapner’s hair which is only enriched by make-up artist Lotten Holmqvist’s natural kept make achieving that peaceful ‘English rose’ feel, a theme perfectly tailored for a classic beauty such as Rosie Tapner.